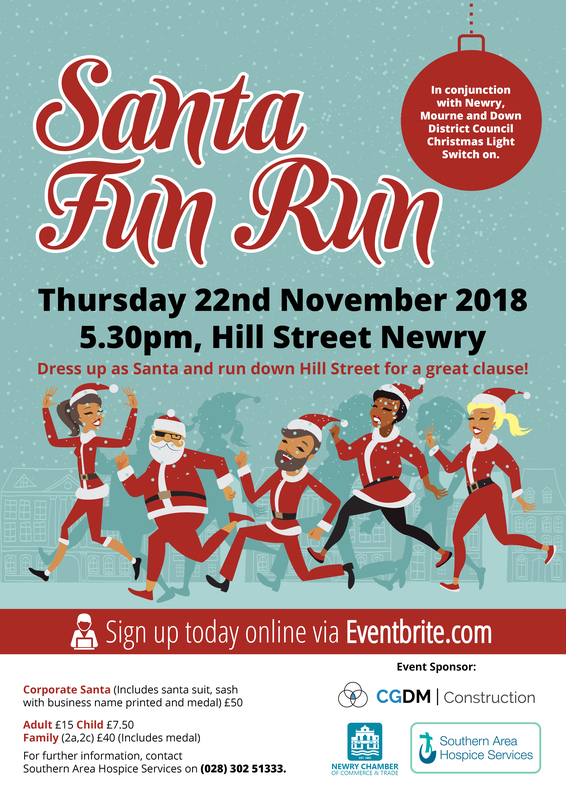 This year, the Newry Santa Fun Run will be in aid of Southern Area Hospice with CGDM Construction kindly on board again as event sponsors. We are delighted to support this event once more alongside Newry, Mourne and Down District Council. The event will coincide with the Annual Christmas Lights Switch on and officially kick starts the Christmas festivities in the city.